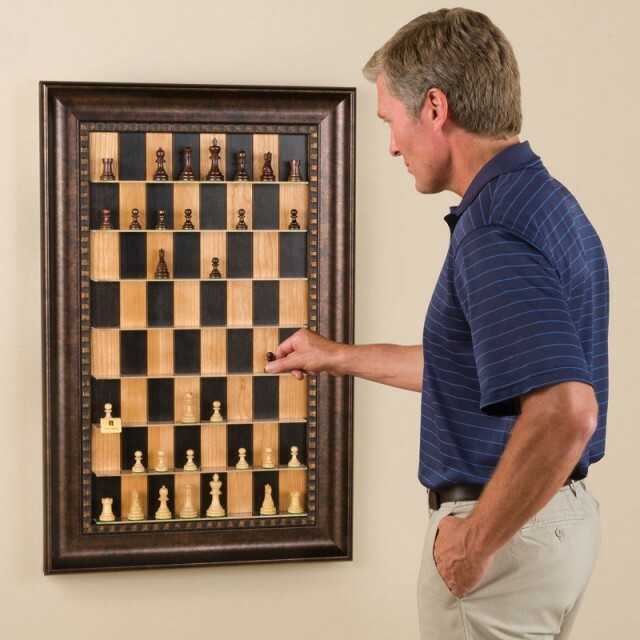 The Vertical Chess Set by Hammacher Schlemmer is a wall-mounted chess set with a vertical chessboard. The playing pieces rest on acrylic shelves. The vertical design keeps the game out of the way, presumably allowing a chess game to go own indefinitely.